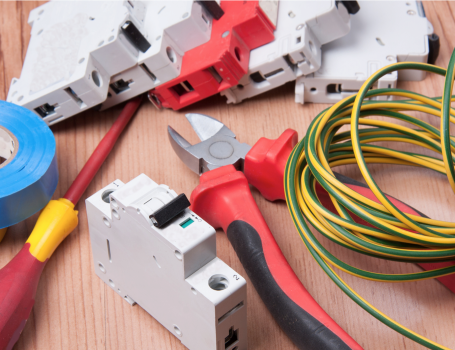 Does your home need circuit rewiring, repair, or replacement? Contact us for assistance today! Your home is a hodgepodge of electrical outlets, circuits, and wires. They crisscross your home to ensure you have the power to control your devices, appliances, and fixtures and provide a complete, 360-degree delivery of electricity. Yet, these wires present several safety issues. To help you avoid these electrical problems, the National Electric Code (NEC) provides a complete guide to help you keep your home safe and powered. 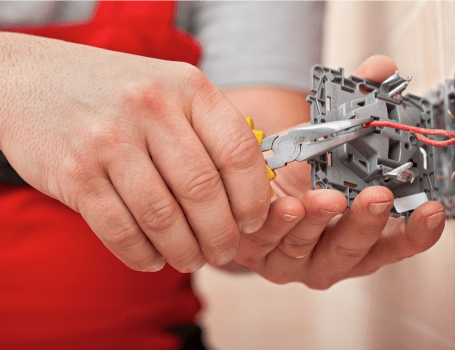 Below, we discuss how you can continue to keep your home powered through replacing, repairing, and rewiring circuits and wires as needed. A standard electrical outlet has two three-pronged, polarized receptacles. Both receptacles use a 120-volt hot, neutral, and grounding wires. Heavy-duty appliances like washers, dryers, ranges, and air conditioners necessitate a 240-volt circuit. 240-volt circuits have two hot, neutral, and grounding wires. It is important to know what type of electrical power your circuits need to safely replace the electrical outlet. Make sure you turn off the power to the outlet from the fuse panel or main fuse. If you do not have electrical wiring experience, it is always best to consult with a professional. Electrical wiring repairs have the potential for complexity. Due to the dangerous nature of electrical wiring, it is imperative to be safe when doing work around the home. As we indicated above, homes in the United States use either a 120-volt or 240-volts. This much electricity can be dangerous, which is why the NEC reviews some of the best practices for repairing wires and circuits around the home. For example, start all electrical projects by inspecting the electrical system first. 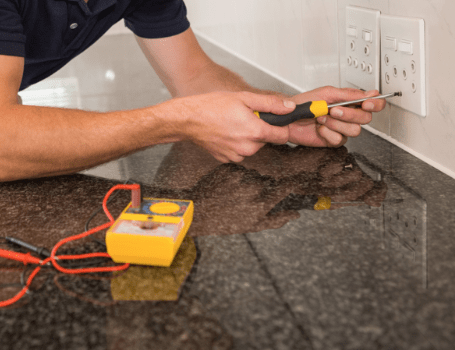 If you cannot successfully diagnose electrical issues on your own, it is best to hire a professional to do so. Mister Sparky electricians follow NEC guidelines to save you time and money on your electrical systems. Often, it is poorly wired homes that are the result of poor electrician work, leading to future frustrations. All Mister Sparky electricians have both the proper certifications and training to complete your project. Our company proudly owns certifications for multiple municipalities throughout Massachusetts. Call us at (781) 222-4435 to get a complete list of our credentials and to schedule an appointment with one of our expert electricians. If you are not able to repair the electrical wiring in your home, it is best to consult with experts in potentially rewiring your house. Breaks in your circuit and wiring may present fire hazards. According to the Consumer Product Safety Commission, 50 people die every year from accidental electrocutions. These electrocutions happen from touching residential wiring, panel boards, circuit breakers, and outlets. If you want to ensure the safety of you and your home during the electrical rewiring process, hire a licensed and insured professional. They have both the professional expertise and necessary equipment to complete your home project with minimal interruptions. With over 26 years of experience, Mister Sparky has installed electrical wiring in countless homes across the country. We understand how rewiring the electrical in your house disturbs your work and life. That is why we provide a 100% satisfaction on-time service guarantee. Furthermore, we offer punctual service to ensure we repair your home on time and budget. Attempting circuit rewiring puts you at risk for harm and may also create serious issues for your household. While doing electrical work yourself might be a viable option, it is usually a short term solution that can lead to long term issues. 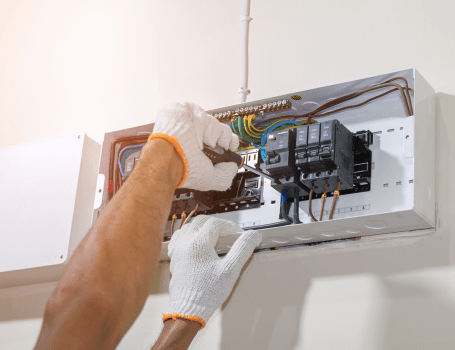 If you are not a professional electrician, then you may end up spend more time and money in the long-run trying to solve your electrical issues. Your do-it-yourself project can easily spiral out of control and end up costing you the same amount of money or more than hiring a professional. How Can Our Professional Electricians Help With Your Electrical Wiring & Circuits?